Virtually invisible, yet highly effective, the Invisalign orthodontic system produces amazing results and can tackle a vast range of orthodontic problems. Patients who choose this system not only benefit from a unique and sophisticated straightening solution but will never have to worry about people noticing their treatment. 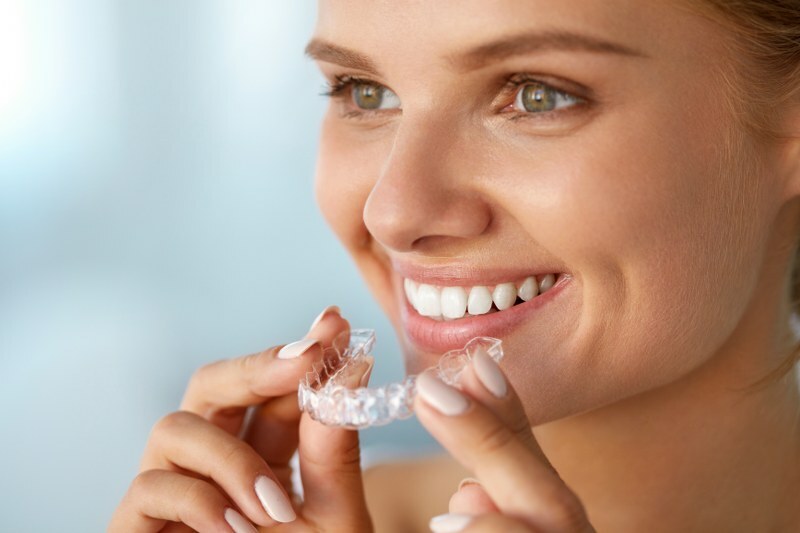 An Invisalign aligner is a clear tray (or mouth guard) that is worn for 22 hours every day and helps to gently move the teeth into a new, straighter positon. Every two weeks, you will be provided with a new aligner to progress your treatment. You have the choice and flexibility to choose when and where to wear your aligner. It must be removed for eating and cleaning purposes. We will take impressions of your teeth so that our laboratory can create your first set of aligners. At the next appointment, you will be given the first set of aligners and we will arrange follow ups every fortnight so that you can receive your next set. Treatment times vary from patient to patient but can last for up to 15 months. Once the main treatment has finished, we will provide you with a retainer to maintain the new position of your teeth.